I love baked potatoes with just about anything, but, hate waiting a hour or more for them to cook in the oven. I used to cook them in the microwave and finish them in the oven, however I think the IP way produces a fluffier potato. I have been making potatoes in the pressure cooker for 50 plus years, usually mashing them or lately I like to make "Smash Hot Potatoes", "Cheddar Hot Smash Potatoes" or "Rosemary Smash Hot Potatoes" . (pictures below)! The thought occurred to me that I could make baked potatoes in the IP and not heat up the house, plus shave off some time of the oven. They turn out tender and fluffy! This method can be used to cook potatoes without skin. Simple! First poke holes into the potatoes with a fork. Use your steaming rack that comes with most IP. Add the water. Add your potatoes, stack them if necessary. Put the lid on in locked position and valve closed. 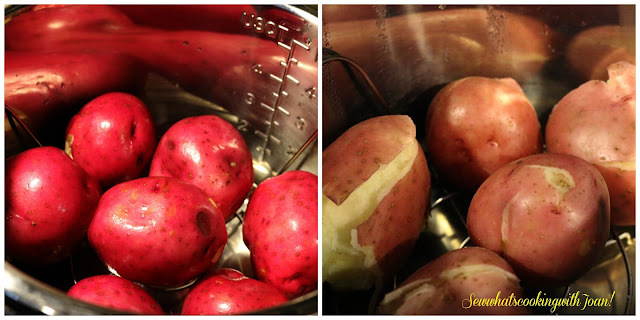 Press manual or pressure and set timer to 8 minutes for medium size potatoes and 12 minutes for large potatoes. *One drawback to IP Baked Potatoes is that the skin is NOT crisp. *If you would like a crispy skin, put the potatoes into a 375F degrees for 10 minutes. *I wanted to make twice baked potatoes with my IP potatoes, however, I found the skin would not hold up to scooping out the pulp and filling (because the skin does not crisp). I wound up scooping out the filling and making individual ramekins, a twice baked casserole. If you would like to make twice baked potatoes follow this link JJ's Twice Baked Potatoes in the oven. 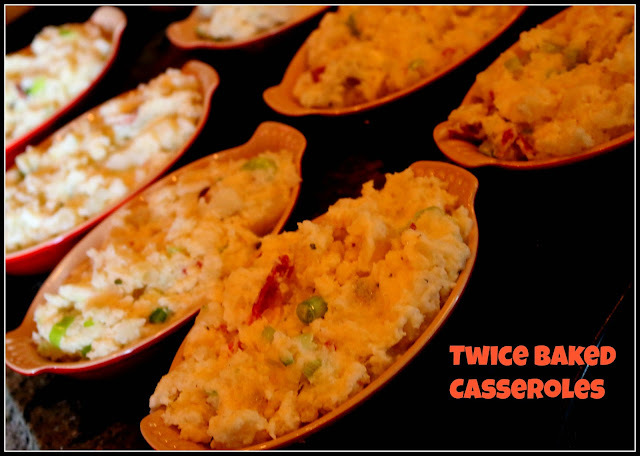 Here is a link to a blogger who was successful in making twice baked Twice Baked in the IP. *For small potatoes, red, Yukon gold or yellow potatoes Press manual or pressure and set timer to 7 minutes and a quick release. 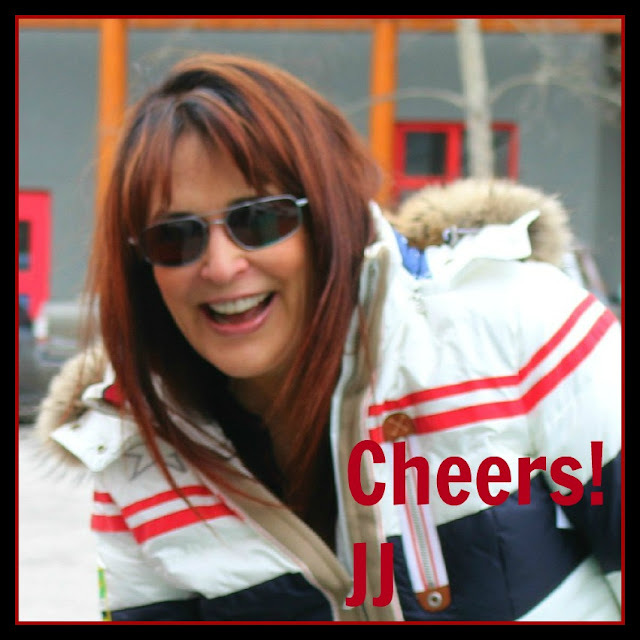 Links to the "Smash Potatoes"
Get ready for some exciting holiday recipes in the coming weeks! I'm cooking and baking up a line up that is sure to please! yummm!!! 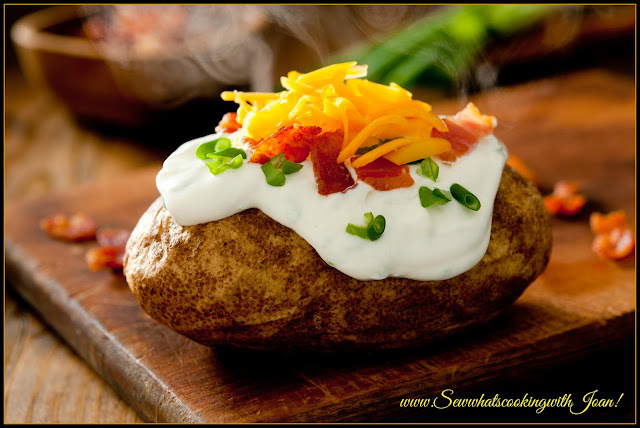 I love the smashed potatoes, and doing baked potatoes this quick is awesome!